Are you that person in work meeting, who doesn’t contribute new ideas right away? I can be! I definitely like to process any new information I’ve gained and come back with ideas later in the day then at the end of work meetings. If this sounds like you then you are probably a work introvert. 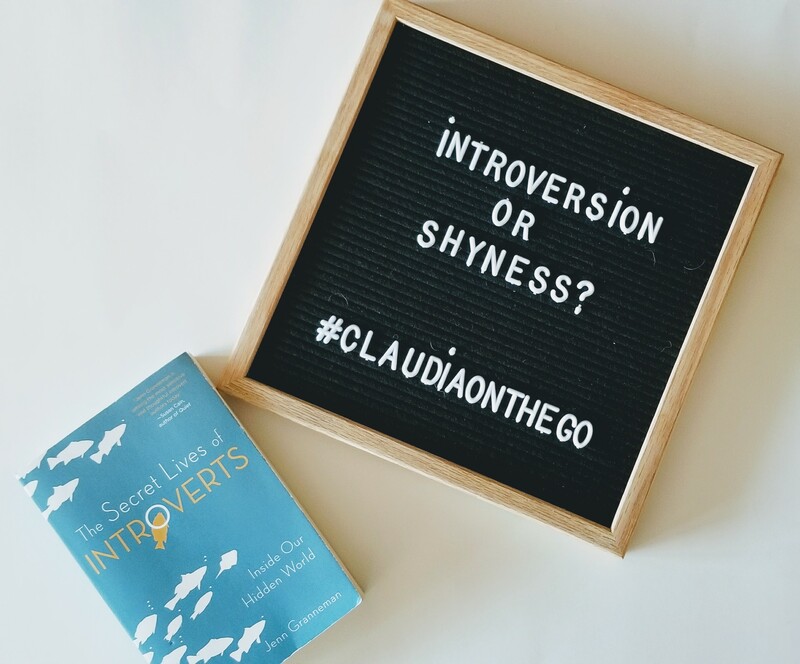 I recently read the book: The Secret Life of Introverts: Our Hidden World and it changed my way of thinking about this “problem”. The book had this phrase in it: “Is there a hidden part of you that no one else sees? Do you have a vivid inner world of thoughts and emotions that your peers and loved ones can’t seem to access? Have you ever been told you’re too “quiet,” “shy,” “boring,” or “awkward”?” My thoughts after reading that passage were: yes, yes, and yes. I don’t consider myself shy and I definitely don’t come off as a shy girl to most people in my personal life, if anything I’m quite outgoing. I have dear friends, I love spending time with family and meeting new people, BUT when it comes to expressing my inner thoughts and ideas in a work setting, I can get a little awkward. One of the reasons, why I love writing is because I find that in writing I can articulate my thoughts with more depth, as oppose to a one on one conversation. That’s why I love email more than meetings and a text message over a phone call. I can always reference back to an email or chat when I’m asked to do a task, as oppose to asking my manager over and over again to confirm the steps of a task. Most bosses will tell you that it is ok to ask a lot of questions, yet when you do they look at you like you’re an idiot for asking so many questions, when in reality you’re not an idiot, you just wanna get the job right the first time around. I’m someone who has awful short-term memory (just call me Dory) and if I’m put on the spot at a work meeting, I’ll often stutter and cringe because all of my bright ideas are stuck in my long-term memory and they take a while to pop on by. It’s not because I’m incompetent, quite the contrary to be honest, I’m someone who is bright, has tons of ideas, and facts to back up my work pleas (toots own horn, lol). This book was definitely an eye-opener, I needed to hear there are other people like me who struggle with awkwardness in the work place (thank god for coworkers who make you feel normal)! “You don’t have to be perfect.” Let go of expectations of how you should act or how you should be perceived by your peers. Show up, try your best and remember to be yourself. Just because you have a more quiet demeanor doesn’t mean you have to pretend to be an outgoing loud extrovert, realize that you have great strengths and you provide a lot for your company. Be true to who you are. The more you value yourself, the more other will value you as well. It starts with you. “Prepare for meetings ahead of time.” In most jobs public speaking cannot be escaped. I can’t stress enough how important it is to over prepare for meetings, especially if you have a boss who expects you to contribute an opinion to each meeting. Prepping will help you avoid feeling the mini anxiety attack of being put on the spot in front of people. Again, I am only introverted when it comes to work. I like to listen and then execute. I’m pretty outgoing in my personal life, and talkative during lunch with my work buddies. Also, there are definitely times when I crave solace from my loved ones, but having “me” time to decompress in my personal life is definitely much more attainable than having “me” time at work. Companies pay you to be there. Here’s wishing that “work from home” was the norm at all companies! Buy The Secret Lives of Introverts: Inside our Hidden World here.